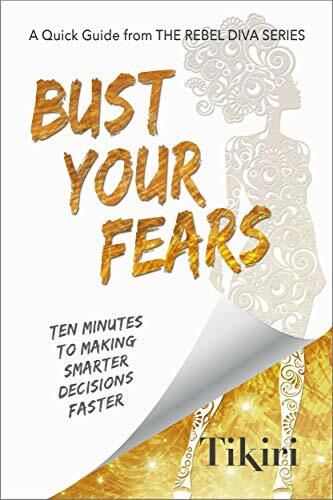 This mini book gets down to the essentials quickly to show how you can reel in your fears and make smarter decisions faster. Discover three simple tools you can apply within minutes to boost your self-confidence and help you make solid choices with calm and clarity. What fear is and why we fear fear. How you can use fear to your advantage. How to make the right mindset shifts to conquer your worries and limiting beliefs. Three easy-to-use tools you can apply within minutes to make better decisions faster. If you’d like a shortcut to busting your fears and making choices with confidence and clarity from a down-to-earth author who has been exactly where you are, you’ll enjoy this book. This mini guide is part of the Rebel Diva workbook series. Book 2: Your Rebel Plans – How to set goals and create a practical plan for your life’s big dreams. Book 3: Your Rebel Life – 100 habit hacks to create a healthy, happy and balanced lifestyle. The Rebel Diva series is designed for the busy working woman who is juggling everything and wish life had more to give her. Don’t just read self-help. Get the books that will take you by the hand and guide you with a step-by-step practical process to follow your dreams.